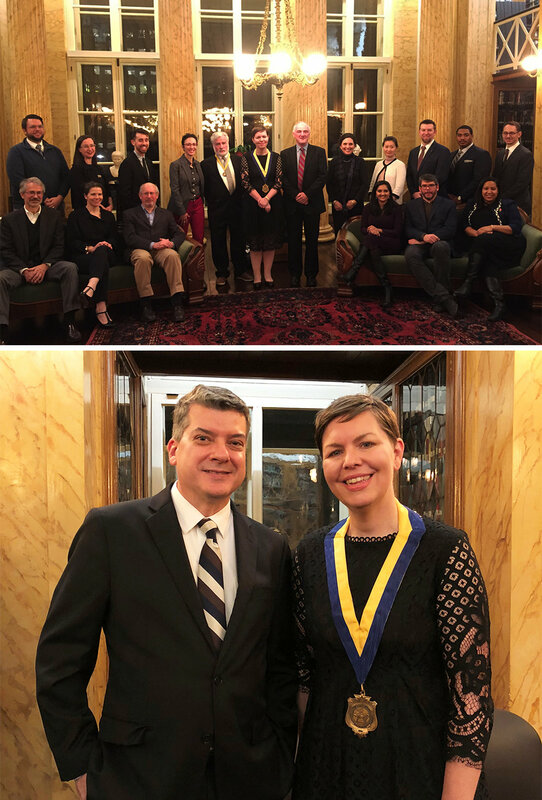 SITIO is delighted to announce that Principal Karen Blanchard was inducted as the 2018 President of AIA Philadelphia at a ceremony held at the Philadelphia Athenaeum. Leading to her election as President Karen served as a member of the Board of Directors, the Executive Committee, and Co-Chair of the Women In Architecture. Karen, a past recipient of the AIA Philadelphia Young Architect Award, looks forward to expanding the AIA’s mission of design advocacy and peer mentorship. SITIO is proud of our history of service to AIA Philadelphia, building upon Antonio Fiol-Silva’s contributions as AIA Philadelphia President in 2014.